If you’ve found this site, you probably somewhat curious about archery. There's lots of stuff we could tell you about archery. But there's already lots of stuff on the Internet. A pretty good place to start is World Archery. There's also compound archery, traditional archery, horseback archery, ski archery, longbow archery, and a whole variety of others. We just do recurve target archery. We just stick to the one we know best. 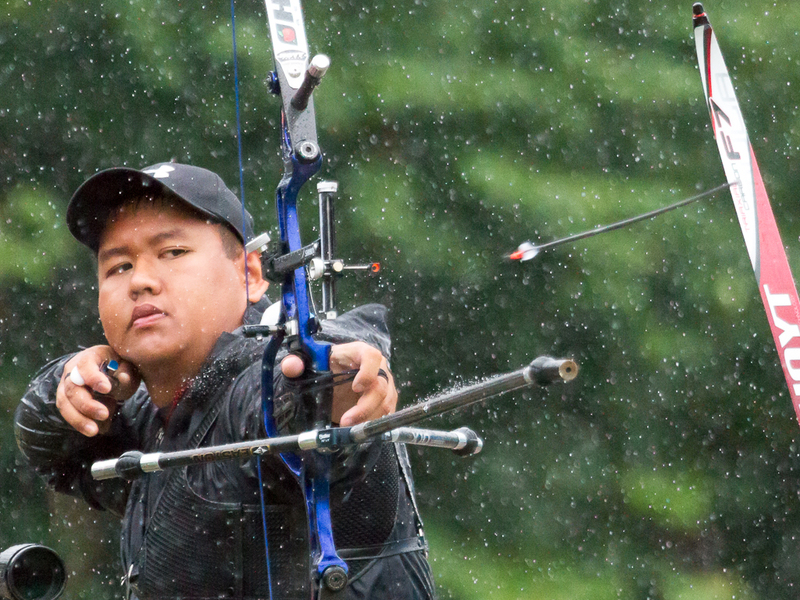 Hamilton Nguyen competing at the 2013 Canadian Target Championships.